December 10, 2017 By amber Your World! 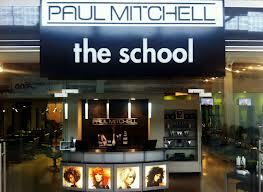 Angus Mitchell was born into the legacy of late legendary hairstylist Paul Mitchell. He is the only child of Paul Mitchell, the Scottish hairstylist who became famous in the 1960s for cutting hair so that it would move more freely, like women themselves were beginning to do. The elder Mr. Mitchell also helped found John Paul Mitchell Systems, the now-enormous beauty products company. The younger Mitchell grew up on his father’s solar-powered farm on the Big Island of Hawaii. “I’m just lucky my name wasn’t River or Rainbow,” he said. As the son of the hair fashion icon, Angus’ unique upbringing in the hair industry exposed him to the same passion that inspired his father, thus leading him to eventually fulfill his destiny in the first family of hair. Angus’ distinctive and signature style as an artist was hatched from his early technical education at Vidal Sassoon combined with the free creative expression at Paul Mitchell. Angus has parlayed his unique skill to the global community and currently travels the world for hair events on behalf of Paul Mitchell. He makes his home in Los Angeles where he has forged his own professional identity with Angus Mitchell Salon in Beverly Hills, which is renowned for its chic, eco-friendly design and talented stylists, many of whom are Paul Mitchell Schools graduates. Most recently, he opened Angus Mitchell Academy, offering salon professionals advanced and master level haircut design sessions and personalized training opportunities. Angus takes advantage of every creative outlet that affords him hands-on opportunities with all aspects of the beauty industry. As co-owner of Paul Mitchell, an educator, and salon owner, Angus is not only enthusiastic about ensuring the future for all salon professionals, but he is dedicated to honoring the artists that have paved the path before him. On December 27, 2011, prior to the debut of The Angus Mitchell Academy in 2012, Angus generously donated the historic coastal property in Hawaii, valued at $6.5 million to the Nature Conservancy. The Kiholo Bay parcel may be the largest item Angus has ever given away, but his heart for philanthropy knows no bounds. “Both in the U.S. and when he travels overseas, Angus is always looking for a fresh way to help people, whether they are simply disadvantaged or have been displaced by natural disasters,” says Michelle. “When we started getting serious about our relationship, he told me, ‘If you’re on board with me, that means you’re going to join me in sharing everything we have to make people’s lives better. Angus says, “I feel blessed and privileged to have this life and I don’t ever forget the work ethic my father instilled in me. Just as he faced hard times when he was establishing his own career, I chose to start at the bottom, as a stylist for Vidal Sassoon. Just because my name is Mitchell doesn’t mean anything was handed to me. I have spent 20 years in this business earning my reputation as a hard worker, and I put my full passion into everything I do, whether it’s running the salon, mentoring kids, going out and spending time talking to students at our schools or helping with the foundation run by Paul Mitchell Schools. After winning every hair contest in Europe, in the early 1970’s, Paul Mitchell opened “Superhair” in New York and a new era in the history of hairdressing was born. Beginning the first “Cutting Club” in America, hairdressers from all over the country came to be trained. Then, in the late 70’s, the shag, Paul’s invention, hit like wildfire. It soon became time to take his show on the road. Thank you, Kierstin for sharing your adventure with us at Hillier Consulting & Marketing.